For those of us who live on the East Coast, we've had to put up with years of hearing about the "custom bike scene" in California. Everything cool always has to come from the West Coast with the rest of the country playing second fiddle to the trends and builders out in Cali. Well finally someone has decided to put together an event that showcases the talent on the other side of the country. 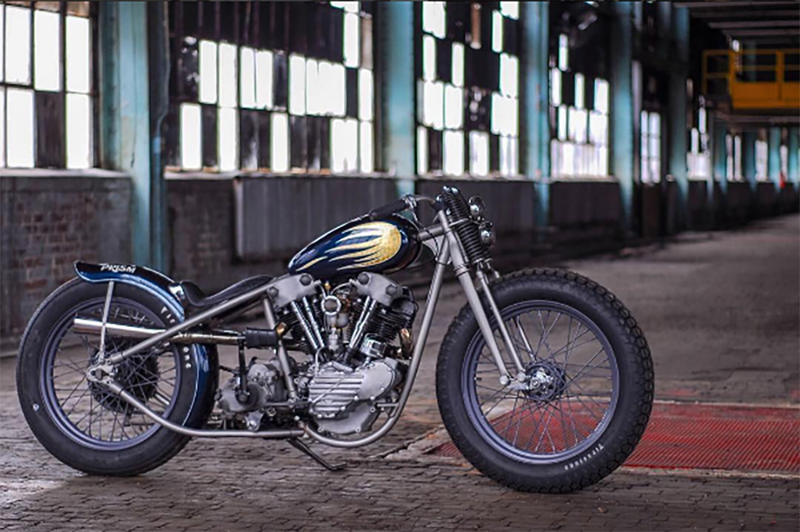 Zac and Jake from Prism Supply have teamed up with Harley-Davidson and Dice Magazine to put on a one day show in Charlotte, NC aptly named "The Congregation Vintage Motorcycle Show." This isn't your typical ride and shine dealership show where anyone can throw down $20 to have their bike participate, but an invitation only event which will show off the work of 50-75 top builders who hail from eastern seaboard. The event will take place the Saturday before Memorial Day in the original Ford Model A plant. Located in uptown Charlotte, it is a massive brick building, lined with tall glass windows and an open floor plan, making it the perfect venue for a collection of more than 6 dozen vintage motorcycles. If you get tired of all two-wheeled eye candy, there will also be a selection of hot rods and custom cars provided by the Iron Lords Car Club. Follow Prism Supply on Instagram (@prismsupply_) to keep up with the latest information on the event as well as listening to the Riders on the Norm podcast available on Stitcher and iTunes. Of course I'll be updating this page as well, so check back as the event draws closer.